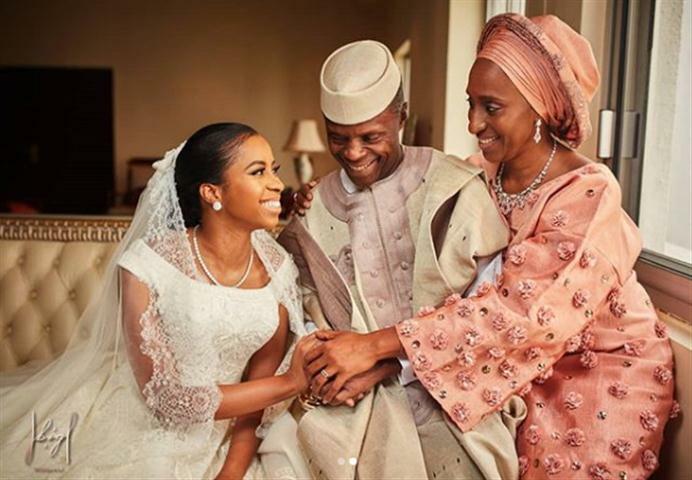 Top government officials and captains of industry joined President Muhammadu Buhari on Saturday to attend the wedding of Vice-President Yemi Osinbajo’s daughter, Damilola. The wedding service of Damilola and her husband, Oluseun, was held earlier in the day at the National Ecumenical Centre, Abuja. 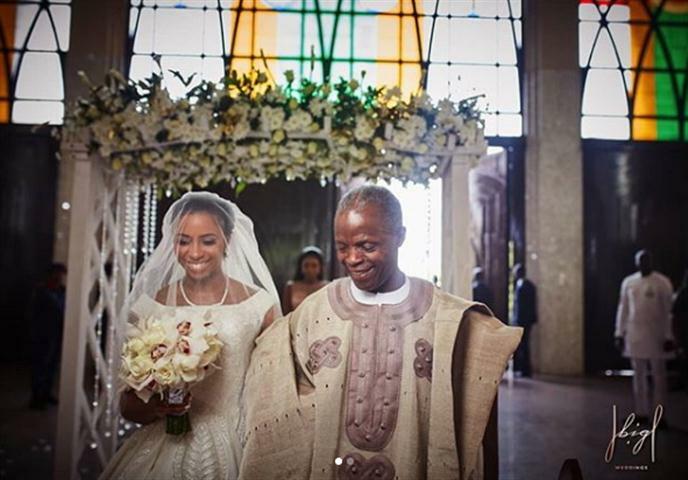 The guests thereafter moved to the old Banquet Hall of the Presidential Villa, Abuja, where the reception took place. Buhari was accompanied to the reception by his wife, Aisha. State governors, ministers, presidential aides and other top government officials were present at the reception. Earlier today, Monday 19 2018, the Vice President’s wife shares a gallery of pictures showing how she baked a gorgeous cake for her daughter on her big day, and the efforts she put into making it. 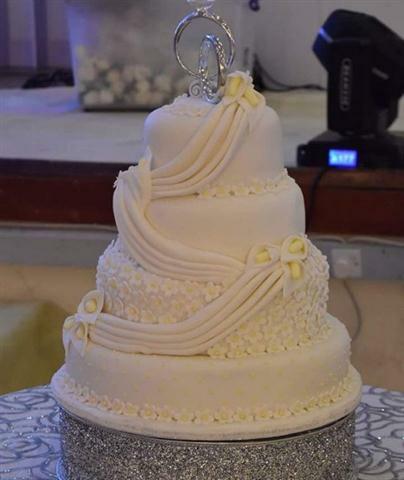 “The cake I baked and decorated for my daughter’s wedding day. Trimmed the cake board with crochet… The things our great mothers taught us! #FromMotherToDaughter #PassItOn #LoveBaking #LoveCrochet” she captions the endearing post.